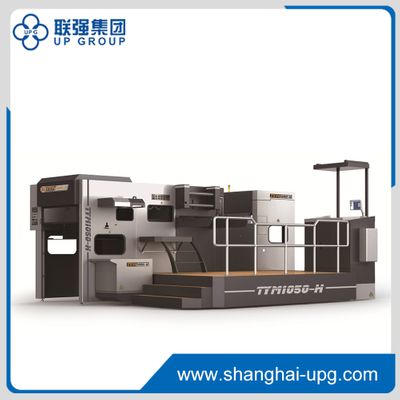 TYM1050-H automatic foil stamping and diecutting machine is mainly used for the diecutting, creasing, foil stamping, cold and hot embossing of cigarette box, drug box, wine box and label in the packing and decorating industries. TYM1050-H automatic foil stamping and diecutting machine is mainly used for the diecutting, creasing, foil stamping, cold and hot embossing of cigarette box, drug box, wine box and label in the packing and decorating industries. 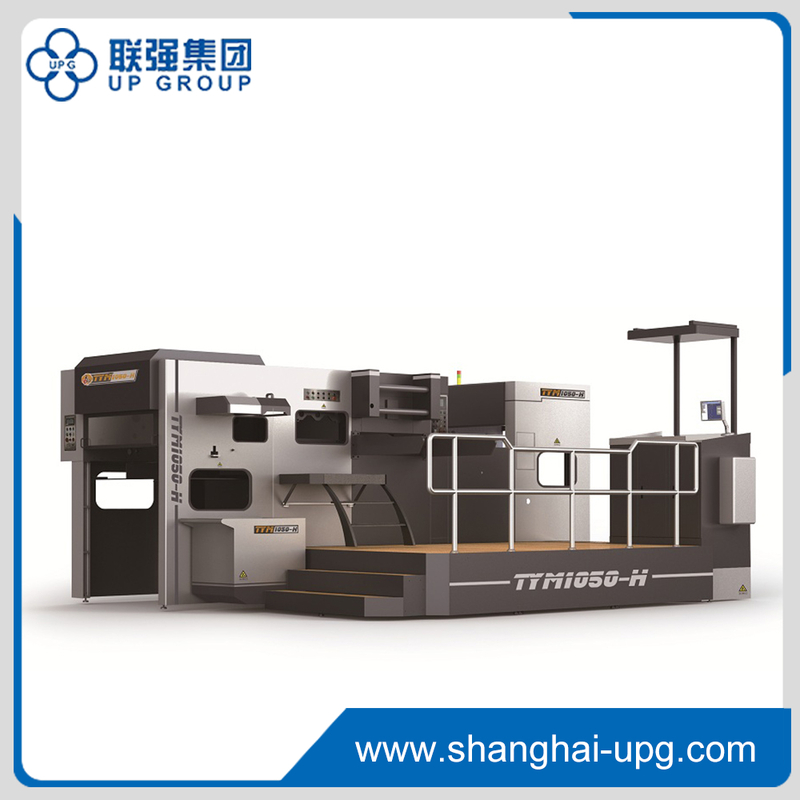 This kind of machine is a new generation of foil stamping series on the basis of TYM1020-H, it’s incorporated with fully automatic feeding, diecutting, stamping, delivering foil, delivering sheet, up-press, down-press, leap step, counting, heating, pre-heating, obstacle indicating, checking and measuring. It has the features of easy operating, reliablity, high speed, press and precision. ● Longitudinal and lateral foil stamping devices are equipped which make foil stamping process more reasonable. ● The longitudinal foil-delivering unit can be pulled out when you install the foil, convenient for operation. ● Foil-stringing device by hand is used which improves the efficiency of work. ● The registration of foil stamping steel plate adopts side-press registering structure, which improves the accuracy of repeat registration. ● Pneumatic plate-locking device is equipped which improves the level of automation. ● The main driving chain adopts big-pitch chains, which reduces the inertia of running, improves stability of precision; Force moment controller is used which improves the coefficient of safety. ● The front-and-back registration of gripper bars adjustable device, convenient to adjust the precision of front lay. ● The front lay adopts numerical control from former adjustment by hand, convenient and audio-visual. ● Cooling device for lubricating oil is added which reduces the wear of parts when they are heated, ensures the constant pressure of diecutting and foil stamping. Max. Foil Diameter Φ195mm/3" Φ100mm/1"